Kate Bilbrey was happy when the International BoatBuilders’ Exposition & Conference moved from Florida to Louisville, Ky., two years ago. The co-owner of Lake Sara Marina in Effingham, Ill., says it wasn’t easy to attend shows when so many were so far away. 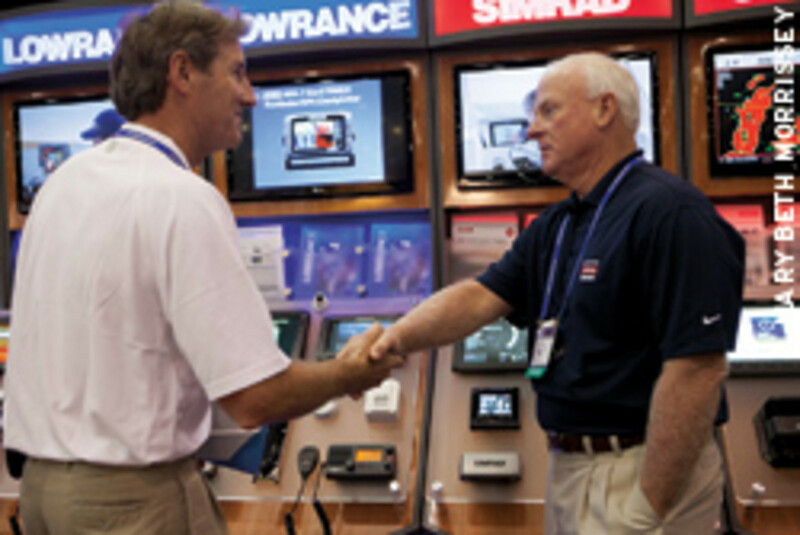 Bilbrey and Lake Sara Marina co-owner Howard Janis had gone to the Marine Dealer Conference & Expo in Florida and wanted to attend yearly, but because of the downturn and the distance they couldn’t make it an annual trip. 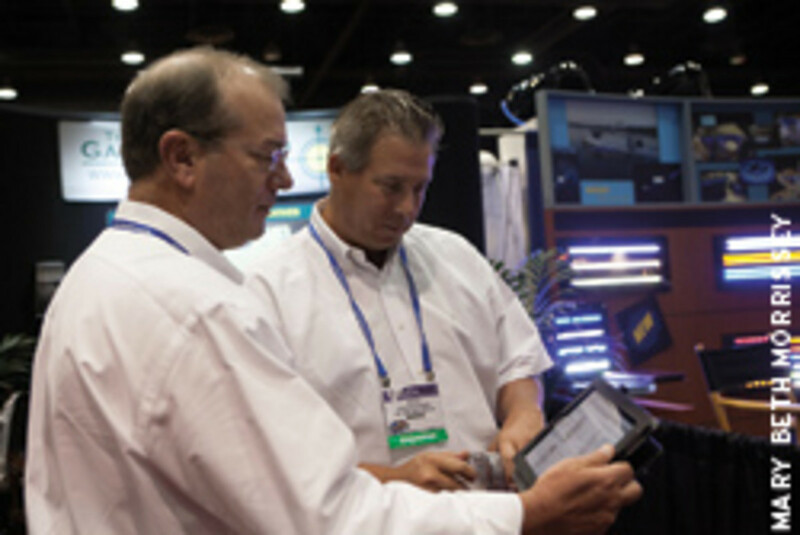 Feedback from the 22nd annual IBEX was largely positive, with many exhibitors pointing to an increase in traffic. The three-day conference — Oct. 2-4 at the Kentucky Exposition Center — included 520 exhibitors from 12 countries showcasing products in the 100,000-square-foot exhibit hall. The educational component was again strong, with 92 technical and business seminars featuring 120 speakers. A social media lounge, headed by Engaged! CEO Josh Chiles, a Bourbon Trail experience highlighting examples of Kentucky’s signature drink and a welcome back party at Louisville’s Fourth Street Live were new this year. Taylor Made Products’ trademark mermaid fenders turned 40 and went hot pink to promote breast cancer awareness. At a press conference Taylor Made announced a limited edition of the pink fenders. “Our iconic mermaid fenders were first introduced in 1972 and they have been one of the most enduring and popular products,” says David Karpinski, Taylor Made’s vice president of sales. A $20 donation earned attendees a free pink mermaid, with all of the proceeds going to the National Breast Cancer Foundation. Discover Boating has been nudging the industry toward using social media, so a social media lounge designed to help companies learn about, utilize and maximize digital and social media was launched. Josh Chiles, the 33-year-old founder of Engaged!, a company that helps marine businesses manage their social media, spearheaded the initiative. Joining Engaged! in the social media effort was Carl Schellbach Jr. of BoaterRated.com — the “Angie’s list” of the boating world. BoaterRated was born when Schellbach and his girlfriend were looking for a mechanic for their 250 Yamaha. They had several within a stone’s throw, but couldn’t determine which had the best reputation. So they created a site that allows consumers to post reviews of marine businesses. It also allows for reconciliation if a bad review is posted. Chiles and Schellbach agree that the lounge had a successful first year. Dammrich gave his State of the Industry address at the opening day breakfast, which also included the IBEX Innovation Awards and a keynote address by Steve Murdock, former director of the U.S. Census Bureau. About 200 people attended the breakfast. 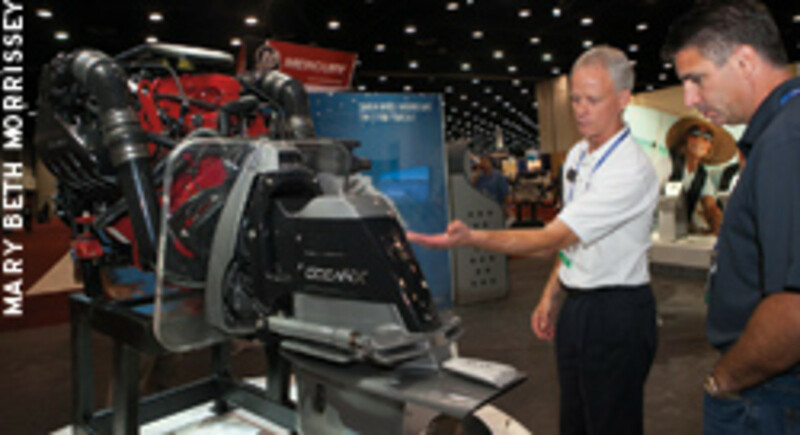 The industry outlook is brighter, Dammrich said at the breakfast, with sales of boats and engines expected to increase 10 percent this year and another 10 percent in 2013. Boating participation has been up in five of the past six years, and 82 million adult Americans went boating in 2011, Dammrich said. He cited a U.S. Fish and Wildlife Service survey that showed fishing participation was up 11 percent during the past five years. The aging, non-Hispanic white population is being supplanted by a growing minority that includes Americans of Hispanic descent, Asian Americans and African Americans, he said. Future customers will not look like the people at the breakfast, he said, telling the audience the industry should take this trend into account. Also during the breakfast, Yamaha Marine Group president Ben Speciale presented the Hall of Fame Award to his predecessor, the retired Phil Dyskow, who now serves as senior adviser to the Yamaha Marine Group. Joe DiMaria, director of marine marketing and sales for Hubbell Marine, was recognized with the Mel Barr Award, established in 1967 in memory of the founder of the National Marine Representatives Association. Joe Lewis, of Mount Dora Boating Center and Marina, says that if you don’t like rejection, don’t even attempt to cultivate local lending sources for floorplan loans. But he told attendees at an IBEX seminar that if they want an alternative source of inventory capital, the time to pursue local lending is now. With banks stronger now than when Lewis began to “entertain different scenarios” and with loan demand down, banks are more likely to make loans they wouldn’t have considered in the recent past. One piece of advice: “Do not use the F-word!” Floorplan, that is. Middle managers at banks have no experience with the concept or terminology, but they are familiar with the phrase “inventory finance,” Lewis says. Lewis, and Larry Russo of Russo Marine, a dealership with three locations in the Boston area, addressed attendees about stocking and inventory control in a challenging economy. 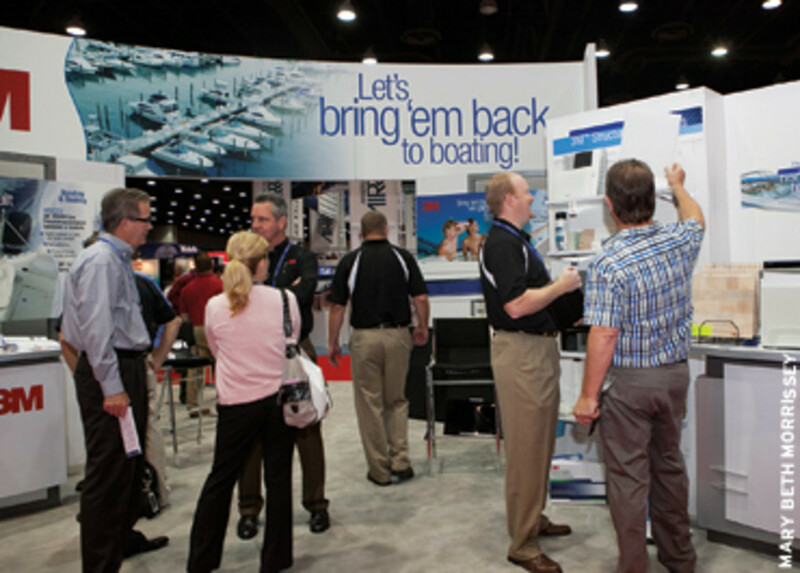 Both suggested tricks for moving aging boats, such as moving the boat to a different part of the showroom, changing the online photo, providing employee incentives and monitoring interest. As a last resort, Lewis says, he positions the boat in the most inaccessible spot at his dealership.